REAL TIME CASES is thrilled to announce the launch of fascinating new cases from our latest Partner Company, ParkMyCloud. 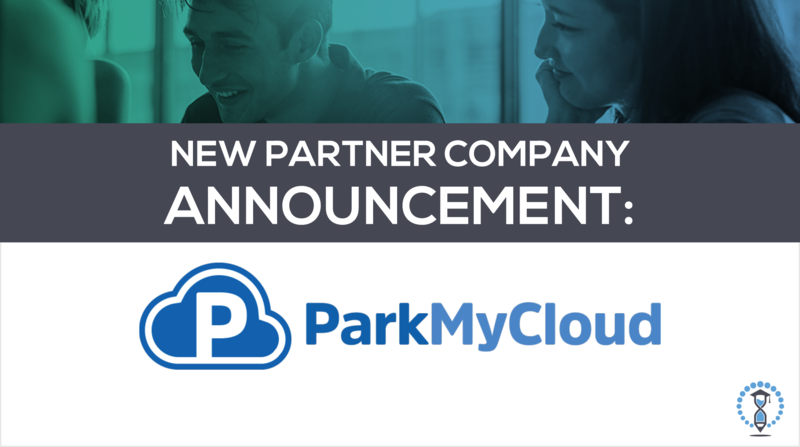 As our first high-tech SaaS (software as a service) partner, ParkMyCloud expands the Real Time Cases catalog into exciting and often-requested categories that now include Technology and Cloud Computing. Case Description: In line with the ethos of the current paradigm of DevOps, ParkMyCloud continuously improves upon the ability to recommend and automate cost-saving practices; however, as automation takes hold across the industry, some DevOps roles may become obsolete. For Chris Parlette, Director of Cloud Solutions, this means he must find a balance between accommodating customer needs under the current paradigm while preparing for the potential that the environment in which ParkMyCloud is currently built to operate may fundamentally change—and with it, customer expectations as well. How can ParkMyCloud become a more integral part of DevOps processes while at the same time securing their future in cloud services? Case Description: Cost savings on cloud services and flexibility in diverse working environments are the two pillars on which ParkMyCloud’s product is built. Those pillars have been critical to establishing the 400+ customers ParkMyCloud (PMC) has today. As the cloud space continues to grow and change, the work that Andy Richman, Product Manager, has put into perfecting the product for PMC’s early adopters will need to translate to an ever-widening audience. How will PMC communicate value to garner a wider sphere of potential customers in financial and IT management? Case Description: As ParkMyCloud (PMC) is still in its early stages, customer feedback has played a significant role in product development. The cloud providers PMC services are also quickly evolving to meet a wider market. As CTO, Bill Supernor must take a hard look at what is on the horizon for these providers to determine where to expand feature sets. Should PMC continue dedicating most of their resources to expanding feature sets around a single cloud provider—the industry leader—or build out features across the board? Case Description: ParkMyCloud (PMC) is a young company with finite resources. When it comes to scaling, Founder and CEO, Jay Chapel, sees a lot of potential in establishing strategic partnerships. At this stage, the right partnership could dramatically expand their penetration into new regions, verticals, or markets. As a company based in the D.C. metropolitan area, targeting the federal cloud space is an obvious approach, but it comes with additional costs; Chapel needs to have greater confidence in the potential yield if PMC is to proceed down that route. Chapel wants to know: What is the size of the opportunity the federal market presents for cloud cost control and optimization, and at what cost? Case Description: ParkMyCloud’s (PMC) focus over the next few years is growth. While opportunity in the United States market may be PMC’s focus for the next 5–10 years, investing to meet needs abroad could provide stability for the future by minimizing sole reliance on the US market. This means investments in partnerships, technology, and internal resources. How should PMC approach international markets to support growth? Case Description: Finding a balance between credibility within the broad sphere of cloud services and providing consumers with clarity on the problem ParkMyCloud (PMC) solves in a crowded space is the challenge Marketing Director, Katy Stalcup, faces every day. Prioritization of marketing tactics and lead management is her primary concern when it comes to reaching the right audience. Right now, she is casting a wide net. Is there a better way to reach the right audience in a crowded space? Case Description: ParkMyCloud (PMC) was founded in 2015, and is a SaaS platform operating in the cloud services space. Cloud providers such as Amazon Web Services, Microsoft Azure, and Google Cloud Platform charge per usage hour, much like a utility. 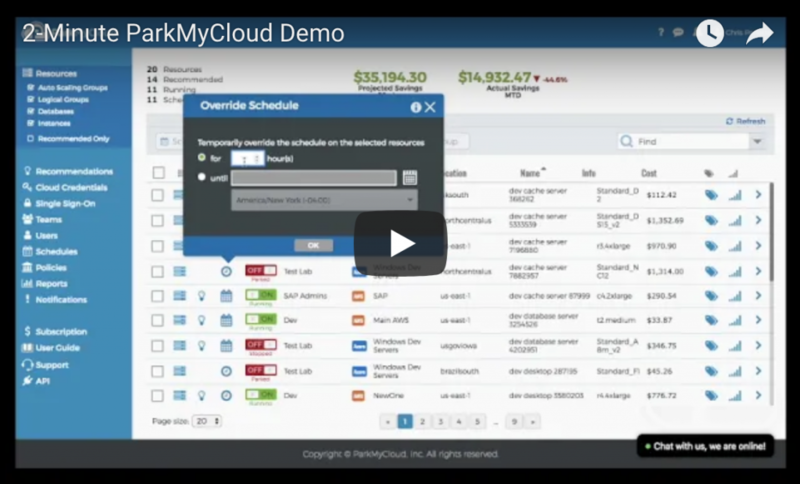 ParkMyCloud saves users money on that utility by monitoring usage and turning it off and on when appropriate. While this service itself is fairly standard, cloud providers continue to develop new features and offerings to differentiate themselves. ParkMyCloud must respond to these changes while maintaining its competitive advantage for mutual growth. How should PMC approach growth to capitalize on changes in the space? Case Description: ParkMyCloud (PMC) has always intended to automate cost-saving decisions for customers, but there is a lag time between what the technology is capable of and what customers, even in the technology space, are willing to accept as the responsibility of machines. Product Manager, Andy Richman, believes automatic decision-making by machines will soon replace automatic recommendations for human action. In a world of fully automated computing, how can PMC continue to stand out in terms of the value they provide? ParkMyCloud is a SaaS platform that automatically identifies and eliminates public cloud resource waste, reducing spending by 65% or more — think “Nest for the cloud.” AWS, Azure, Google, and Alibaba Cloud users such as McDonald’s, Sysco Foods, Unilever, Avid, and Sage Software have used ParkMyCloud to cut their cloud spending by millions of dollars. ParkMyCloud helps companies like these optimize and govern cloud usage by integrating cost control into their DevOps processes. Log into the Real Time Cases platform today to see the videos and review the comprehensive Teaching Notes available with each case. Through this collaboration with ParkMyCloud, we continue in our mission to empower educators as they prepare tomorrow’s leaders.